Sunday Quote!- What does “head” mean? | J.W. Wartick -"Always Have a Reason"
Sunday Quote!- What does “head” mean? In the book, Payne goes on to demonstrate why it is that the majority view has turned to viewing “head” as “source.” He provides 15 reasons to think this is the case. A few highlights include contemporary 1st-3rd century usage of the term, lexical support for “source” and lack thereof for “authority,” other usage within the Pauline epistles, difficulties raised by reading it as “authority,” and support for the meaning as “source” from a number of contemporary authors and Church Fathers. In the passage above, I think it’s interesting to see that one’s native language often imports meaning into the text. I’m sure this happens in many places, and I’ve caught myself on some. 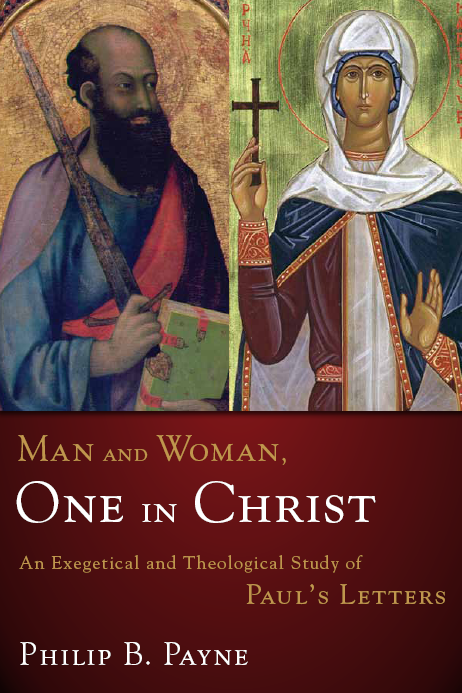 If you have any interest at all in the debate over women’s roles in the church and home and do not have this book, you must amend the situation immediately. It doesn’t matter if you are egalitarian or complementarin; you must deal with the arguments raised by Payne, who interacts with top scholars from both sides of the debate (including Piper, Grudem, Wright, and more). What are your thoughts? How do you read this difficult passage? Does your native tongue perhaps change your perception of the meaning of some parts of the Bible? « Really Recommended Posts 5/16/14- Edge of Tomorrow, Femininity, the Apocrypha, and more! I am also tempted to take Paul at his word when he says “Judge for yourselves”. Then I am free to judge for myself that people of any sort may pray with whatever they like on their heads; the external trappings are not how God judges us. Does he give a citation (or citations) that the reading of “source” is now the majority view? If so, would you mind explaining and/or quoting what he says? Yes, he does. The footnote is extremely long and extends over two pages, 117-118, footnote 7. You may read it yourself by looking at the book and searching “The majority view” on the “look inside” feature on Amazon. It is the first thing that comes up and if you scroll down you can see both pages with the footnote: here. Thanks so much. I think it is undoubtedly true that a number of people believe source is best, but I don’t see how his footnote supports source as the majority view. Maybe I’m being nitpicky, but so be it. For instance, I would be interested in a count of commentaries as one guide. That’s not infallible, but I think it might be better in comparing views. Nonetheless, thanks for the info and I just want to say that I’m super happy that this book contains footnotes instead of endnotes. I want to pick up his book along with Keener’s for sure, but I’m not sure when I will get the chance. I would recommend this book over Keener’s for a number of reasons. The most primary reason is due to its comprehensive nature while Keener is more limited in scope. I do also vastly prefer footnotes to endnotes. I hate endnotes. They make you flip back and forth constantly if you want to get the valuable information therein (or simply ignore them, which I unfortunately tend to do when there are endnotes). Yeah, I would assume this book would be more comprehensive due to the length, but I also hear Keener’s is really good. When I get around to it, I will probably just try to find the books that are the most prestigious on both sides. If you have done much reading on the topic, that would be a post I’m interested in. Also, I have no idea why publishers do endnotes at all. I saw a recent poll at Leiter Reports (which I cannot access for some reason) that had footnotes getting around 95% of the votes I believe. Someone (Leiter?) suggested that maybe endnotes are used to save money, but I hate them either way. I tend to read through the endnotes for a particular chapter first and see if there are any explications instead of citations and then remember what numbers they were and flip to the back when I get to them. It’s still not fun, but that’s the best approach I’ve found. Anyway, thanks so much for the quote and the interaction. So far I’ve dealt with the passage by putting it off. Maybe I can get this book and start working on it now. I would highly recommend you do so. It’s a fantastic work, and well worth the purchase. I think our interpretation of head (kephalē) needs to begin with how Paul uses it elsewhere in Ephesians. In 1:18-22, it seems (to me) that authority works better than source. Christ has been raised above all other authorities, powers, and dominion, and He is now the authority/source over everything in the church. Source doesn’t make sense in that context. More specifically in Eph 5, Paul writes that wives should submit to their own husbands. Again, that seems like authority to me. Here’s my point. I’m not a complementarian, but I think that we should let the Bible speak for itself. By doing that, I have a difficult time understanding kephalē as source in Ephesians 1 and 5. I don’t see how saying that Christ is the source of everything in the church is a poor reading. Indeed, it makes quite a bit of sense. Submitting to one another out of reverence to Christ is the same clause as wives submitting to husbands; you are correct. However, I can’t see how the former, universal command supersedes the specific command to wives. In other words, verse 21 is directed generally to the entire church, but verse 22 is specific to wives. Did Paul really mean that wives and husbands should mutually submit to each other in their marital relationship? If so, why write verses 22-24. The command to mutual submission plays out in the context of the church at large, not the marriage relationship. 1:21 mentions that Christ is far above all authority and power. 1:22 says that God put everything under Christ’s feet and appointed Christ head over everything in the Church. It seems to me that 1:18-23 is full of authority language. Also, 5:24 says that as the Church submits to Christ, so also wives should submit to their husbands in everything–just after redecorating that Christ is the head of the Church. Again, I’m not trying to troll. But when I look at the context of the text, I can’t see strong evidence for kephalē = source in Ephesians. What am I missing? I didn’t say that the command about submitting to one another supersedes anything. But you seem to be denying that there is mutual submission. Are husbands not included in submitting to one another? Moreover, you acknowledged that the submission is in the same clause as wives submitting to husbands: therefore, the context of the mutual submission is exactly that husband and wife situation specifically, but the whole church more generally. If Paul did not mean for husbands and wives to submit to one another, why would he say they should in the same breath? Regarding to 1:22, its context has it immediately followed by the fact that Christ’s head is over his body. The church is under his feet, and he is head over all things in the church, which is his body. Christ clearly is being portrayed as the source of the church. In fact, I’m wondering if you’re saying Christ is somehow not the source of the church because you keep saying that it doesn’t make sense in that context. Are you suggesting this?